The Comedy Central funnyman skewered a GOP strategist and rebutted with a loopy "Star Wars" rant. Colbert poked fun at a GOP strategist's mouthful of a metaphor. Stephen Colbert opened Thursday's edition of "The Colbert Report" with a segment about Newt Gingrich's decision to suspend his presidential campaign and potentially support presumptive GOP nominee Mitt Romney. How could Gingrich — who has mercilessly attacked Mitt Romney's candidacy for almost a year — suddenly change his mind? According to Colbert, Gingrich's anti-Romney rhetoric was "all in good fun," and like most also-rans during any election season, the former Speaker of the House will "pull it together" and embrace the party's nominee in order to oust the incumbent. But perhaps that's a simplistic take on American electoral politics. For a more "complicated" perspective, Colbert deferred to the Republican strategist and Fox News commentator Dee Dee Benkie, who this week offered up what is surely one of the most convoluted analogies in the history of English-language rhetoric. 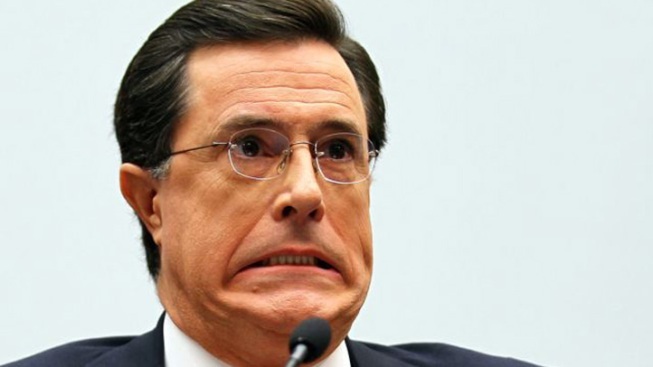 At least, that's what the writing staff at "The Colbert Report" seems to think. Check out the hilarious clip below via Comedy Central for Benkie's loopy analogy — a riff on the USC-Notre Dame football rivalry — and Colbert's even loopier rebuttal: an geektastic riff on "Star Wars" mythology.